When your vision isn’t quite 20/20, we correct it for you with prescription eyeglasses or contact lenses. We also provide prescription and non-prescription sunglasses that offer added protection from the sun’s UV rays. Sharpen your vision with prescription eyeglasses, sunglasses, and contact lenses from our office in Fryeburg, Maine. Dr. N. Scott Ferguson, Optometrist, wants to help you see clearer, so call us at (207) 935-3307 to schedule an appointment. We offer many different types of lenses to effectively correct patients’ vision. Lenses come in plastic, phoenix, glass, polycarbonate, and polarized sun lenses, but phoenix is our main material. It’s lightweight, impact resistant, UV filtering, and comes with a two-year warranty. One-day, two-week, and 30-day contact lenses are available from Acuvue™, AirOPTIX™, Biofinity™, B&L™, PureVision™, and many other brands. Additionally, we carry multifocal contact lenses for people with presbyopia. 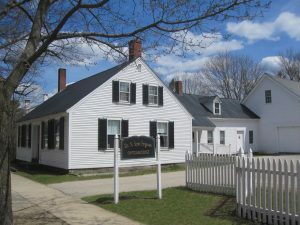 Visit our family optometrist in Fryeburg, Maine, for quality products that provide you with clearer vision. We are happy to answer any questions you may have. We have someone here to help you select a fun pair of Reading glasses or maybe your more interested in a classic pair Sunnies. This is only available for a limited time, so stop on by and see what goodies we have!